First of all I would like to mention that the Christian youth movement (and the Pope) were in the town during my stay therefore the 6.3 million of population was already extended to 8 million. The city was big. It was the first and correct impression you get while the plane landed the international airport|Galeão. 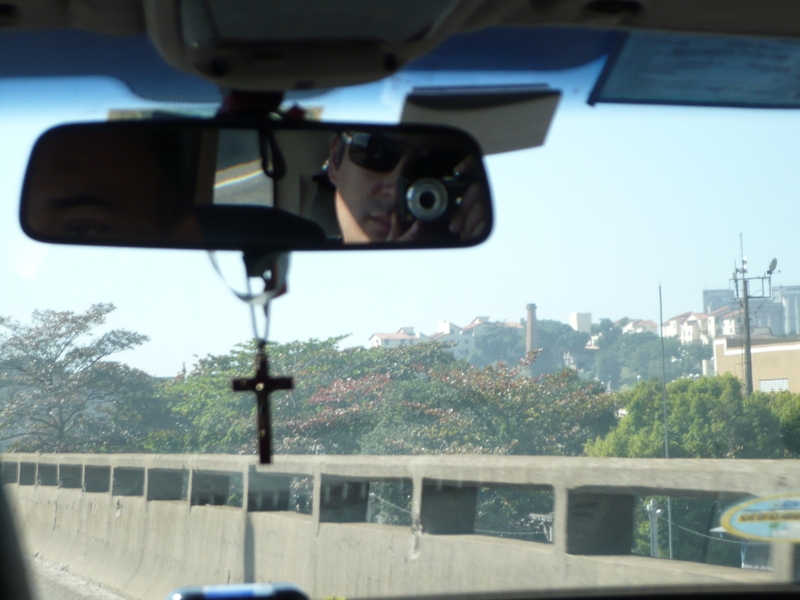 It was a hot crowded Sunday afternoon and we decided to take a cab to reach our hotel in the Barra da Tijuca region of the city. The distance was almost 40 kilometers and bus connections were going to take very long (more than 1 hour). We were two from my department and already arranged a carpool with another researcher that we have met in the passport control. It costed 180 BRL (60 Euro) in total. There were many taxis around, usually equipped with CNG (compressed natural gas) tanks. During our stay we have used a small boat to cross a river as walking from our hotel to the conference hotel was requiring a big detour. This was fun experience. Barra da Tijuca had recently acquired a rapid bus system | BRT. These busses were running up and down the big avenue. The long avenue actually splits the neighborhoods into half and when you are driving you need to go all the way back to have a U turn. During the conference period we have mainly used taxi to go short distances. I have also stayed in the center of Rio following the conference, namely in the Santa Terasa district. This district had until 2011 a tram line. Due to a derail accident which resulted the tram line is suspended and hopefully be re-opened in 2014 with an improved infrastructure. The city is highly dependent on buses. 4 million people are traveling per day using 440 bus lines! The conference package also included a Rio Card which can be used in the public transport network of the city. I have started to use the electronic card to travel in the metro and bus for the coming days. The metro line covering 42 kilometers with 32 stations seems to be not enough but for a tourist route it was great. 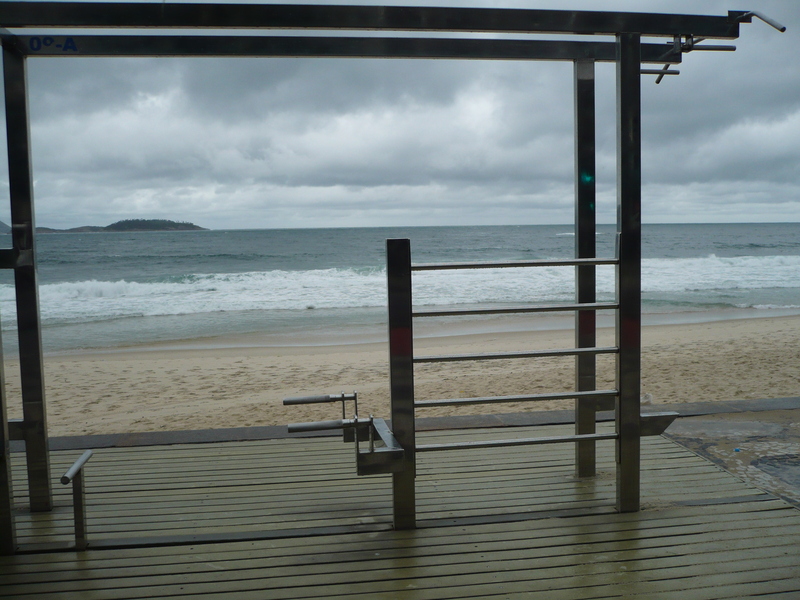 I was able to reach Copacabana beach and also use it to reach Sugar Loaf mountain due to integrated bus system. The city also has ferry lines to the neighboring town of Niterói. There are future metro extension plans to connect this city with underground metro line. The ferry experience was rather crazy. It was really very crowded but things worked perfectly. The company has counters and they control the capacity. The journey took 15 minutes, I was standing. In the return I was able to sit. Another observation is about the buses, you can use your Rio Card to enter the bus from the front or pay 2.5 BRL (0.90 Euro) at a person who is sitting on the right side of the bus front door. Every bus is equipped with a turn-gate system. I have witnessed many times arguments between the passengers, driver and the ticket controller. Furthermore busses are driving very fast and sometimes not stopping at the bus stops. You have to jump, make yourself seen by the driver and even chase the bus. A final remark on the positive side is the bus stops in the city are equipped with basic gym exercise facilities. Overall, Rio is not a very easy city to move from A-B unless you get yourself familiar with the bus network and plan your trip connecting to the metro line. I have seen some similarities between Istanbul and Rio. I had 4 nights of stay in Buenos Aires, the capital of Argentina. Compared to Rio de Janeiro, Buenos Aires is half the site with only 2.9 million inhabitants. I have landed to the international airport Ministro Pistarini on a cold winter day! Although I have ready about the shuttle bus system, I have taken a taxi to my hotel, which was in the city center. The system was pre-paid that you can arrange it in the arrival hall of the airport. The distance was 35 kilometers and cost was 250 ARS (35 Euro). The city planned as square and rectangular grid system was walkable unlike Rio, where the geography limits you. During my stay I have walked a lot but also took the metro. Subte is the first underground network in South America, which was built on 1913. It has 6 lines covering 52 kilometers with 74 stations. There are many plans to have extensions. Just like Rio, Buenos Aires is also depending a lot on buses. 150 bus lines are covering the city. Unfortunately the bus system is not integrated and it is very difficult for a tourist to get a grip on the network. Except for returning from Boca district I have never took a bus during my stay. For the metro I have bought single use tickets, which costs 2.5 ARS (0.35 Euro). 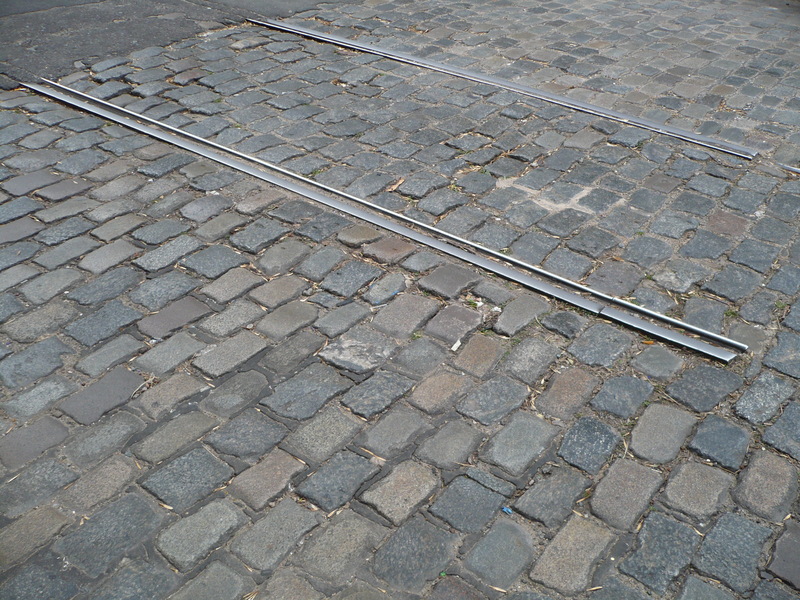 I was photographing old tram tracks covered with asphalt. Until 1960’s the city had 857 kilometers of tram network, which then was dismantled. What a sad story! Since the second half of 2000’s light rail systems and modern trams are introduced. Just like Rio the city also has a BRT system, named as Metrobus. I was amazed to see long and wide avenues. With size I mean 35 kilometers long and 140 meters wide. Crossing the avenues were a challenge! The city has green ways, which are computer controlled traffic lights system to have flow of traffic with fixed speed driving. Overall the dependence on road is very high. Old trucks, cars, taxis and busses are passing by. The old-school image of the busses do not compensate the damage they are causing for the environment. This is the story of two cities and my adventures in their public transport system. I hope you enjoyed the blog post with my photography from the trip.